and receive never-before offered bonuses! Subscribe to Volume 30 now! Music K-8, Vol. 29, No. 5 is now available. 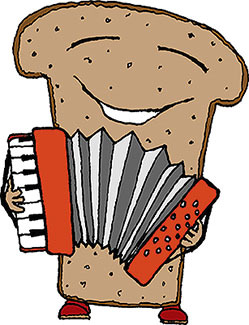 Have some Polka fun with your students... and a pickle and a nickel and a penny and a nanny! Read more about "Pumpernickel Polka" or listen to more sound clips from Volume 29, Number 5! 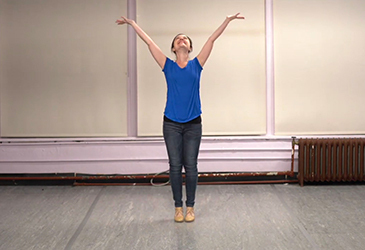 Melissa Schott, Plank Road Publishing's choreographer, has created another of her hugely popular movement suggestion videos for you to use or adapt. 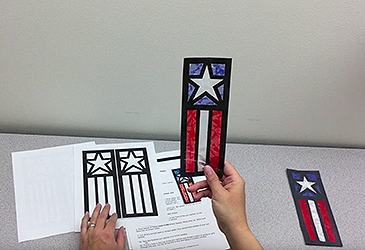 This 7 minute video features a craft tutorial to accompany the song "Happy Birthday, America!" by John Riggio (from Music K-8, Vol. 29, No. 5). The downloadable PDF of directions and templates can be found in the Graphics & Extras section. Have you discovered Student Reproducible Parts yet? They're a time- and money-saving innovation we're proud of. Read more about the advantages of Downloadable Student Parts. What you get from Music K-8 magazine. A complete musical revue (songs and a script) is contained in the first three issues of each volume. The CD or downloadable MP3 files, available with each issue, feature Full Performance and Accompaniment Only recordings for virtually all of our songs. These high-quality recordings feature professional children singers and talented musicians playing real instruments. Student Reproducible Parts, handy singers' parts extracted from all songs on the recording for easy, less expensive photocopying, are also available in physical or downloadable format. Click for more information. Read more about Music K-8. Full Year Sets are a great deal, and a great way to complete your Music K-8 collection.